Daniel 12: Timeline from 1922 to the Second Coming! Home Biblical Christian Articles End-time Prophecy Daniel 12: Timeline from 1922 to the Second Coming! Many sincere Christians put the timelines of Daniel 12 in the past. However, a careful study of Scripture reveals that these important timelines are yet future. They are given so Yah’s people can identify when the end is upon them. Presidential elections in the United States are often acrimonious with each side bitterly accusing the other of everything from sexual infidelity and racism, to lying and various illegal activities. One election was particularly divisive. The popular press blatantly favored one political candidate over the other. A newspaper in Chicago went so far as to call the opposing candidate a “nincompoop,” an old word adopted into modern slang meaning an idiot or fool. Nor did the favoritism end there. Days before the election, the press began to predict their favored candidate would be the winner. To make matters worse for the opposing candidate, many in his own party did not want him for president. He had a feisty campaign style that repulsed many. His own party was split with many voters calling for third-party candidates to be elected instead. Conventional wisdom, supported by early polls, declared he would lose. The Chicago Daily Tribune was so sure its favorite candidate would win, that it actually went to press, declaring its candidate had “won a sweeping victory in the presidential election.” As the election results came in, however, it showed a closer race than previously anticipated. The headline, declaring one contender the winner, was changed to "DEMOCRATS MAKE SWEEP OF STATE OFFICES." Ultimately, the election resulted in one of the greatest election upsets in American history. The candidate the news media did not like, the candidate who repulsed many in his own party, won the election. The image of a laughing President Harry S Truman holding aloft the newspaper declaring his opponent the winner became iconic. It also serves as a lasting reminder of the risks of declaring an event over and finished that is, in reality, still future. 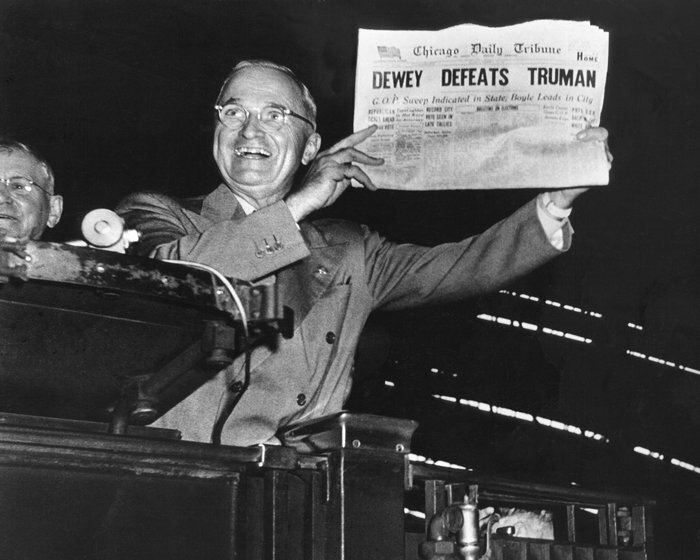 President Truman laughs at a newspaper headline declaring his opponent the winner. Incredible as it may seem, many sincere Christians are repeating the mistake of the Chicago Daily Tribune. They are declaring finished and complete one of the most important timelines in Scripture. Sadly, if they do not repent and embrace advancing light, they will be as unprepared and taken by surprise as the newspaper editors in 1948, who called an election before it was finished! The prophecy of Daniel 11 is very important because it identifies the King of the North as the Ottoman Empire, the King of the South as Egypt, and the “Willful” King as France. These, in turn, reveal that the “time of the end” began in 1798 and the “time of trouble” began in 1922. We are now living in the Time of Trouble! The end is very, very close. But the book of Daniel does not end there. There is still one more chapter. Daniel 11 lays the foundation for Daniel 12, which gives the believers today crucial knowledge of final events so that none need be caught unaware. “And at that time shall Michael stand up, the great prince which standeth for the children of thy people: and there shall be a time of trouble, such as never was since there was a nation even to that same time: and at that time thy people shall be delivered, every one that shall be found written in the book. “And many of them that sleep in the dust of the earth shall awake, some to everlasting life, and some to shame and everlasting contempt. Daniel 12:1 is the climax toward which all of Daniel 11 has been building. At the time identified in verse one, Michael1 “stands up.” His people are facing a time of trouble such as the world has never seen and He is not going to take it sitting down. 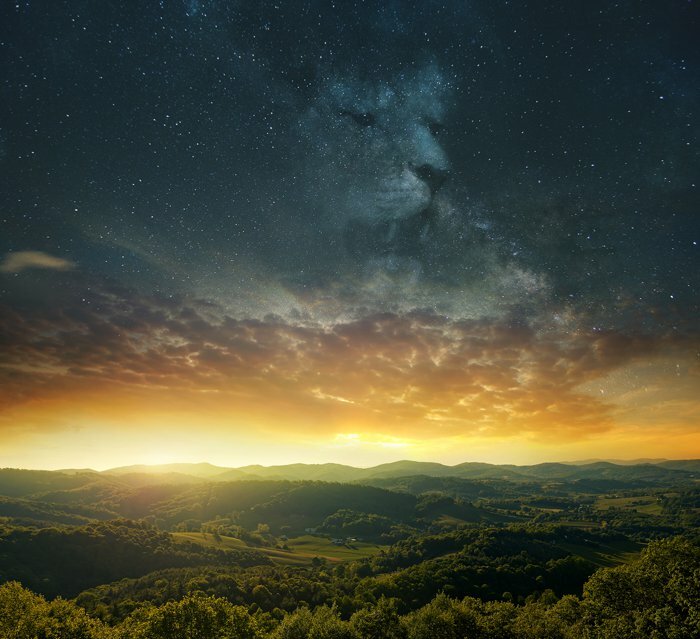 Verses two and three are a summation describing the conclusion of the great controversy that has been waging between good and evil for thousands of years. Some will continue to rebel and their lot will be shame and everlasting contempt. Others will choose salvation and shine as the stars forever and ever. “But thou, O Daniel, shut up the words, and seal the book, even to the time of the end: many shall run to and fro, and knowledge shall be increased. “Then I Daniel looked, and, behold, there stood other two, the one on this side of the bank of the river, and the other on that side of the bank of the river. In the King James Version, the word “one” is supplied in verse six. It could just as easily have been translated, “And I said to the man …” Daniel had been shown the full sweep of time from his day clear down to the Second Coming. But the most important question of all still remained unanswered: When is this all going to happen and when does it end? “And I heard the man clothed in linen, which was upon the waters of the river, when he held up his right hand and his left hand unto heaven, and sware by him that liveth for ever that it shall be for a time, times, and an half; and when he shall have accomplished to scatter the power of the holy people, all these things shall be finished. “And I heard, but I understood not: then said I, O my Lord, what shall be the end of these things? Michael/Yahushua understood the yearning in the heart of Daniel for full and complete understanding. He was not going to play word games with the prophet. He answered the question: everything would be finished after a time, times and a half. This may seem confusing, but it was an honest answer to a straightforward question. Daniel asked, “How long shall it be to the end of these wonders?” And Yahushua told him: A time, times, and half a time, or three and a half years. This is important information. Earth’s history would climax in a three and a half year time period. The one piece of information missing from Yahushua’s answer, however, was when the three and a half years would start. Daniel wanted to know that, too, and pressed for more understanding, but the knowledge was not for him. He was gently told that the prophecy would not be understood until the time of the end. That time is now! As the prophecies of Daniel 11 reveal, the “time of the end” began in 1798. The sincere seeker for truth can now understand this prophecy. E. G. White, Historical Sketches, p. 197. The soul is purified as it embraces advancing light. This is the entire purpose of the promised Latter Rain. It is the responsibility of every child of Yah to actively seek out truth and accept every ray of light from Heaven. There has been a veritable explosion of light since 1798, and the rays of light continue to shine. With every ray of light received, still more can be discerned and grasped. At no point this side of Heaven will anyone be able to claim he or she has arrived at All Truth. Many have gratefully accepted more light, but sadly still more have turned their backs on it and angrily denounced the advanced truths of the feasts, the lunar Sabbath, the true shape of the earth, and much more. It is those who turn their back on advancing light, those who cling stubbornly to the dim light given our fathers that will not understand the truths contained in Daniel 12. Yahushua promised Daniel that those who accepted advancing light would understand the prophecy, but warned “none of the wicked shall understand.” The wicked here referenced are not worldlings. Worldly people do not care about the Bible, and they certainly give no thought to the prophecies of Daniel. Therefore, the “wicked” spoken of are professed followers of Yahushua, those who choose to cling to error. Advanced light will never be given those who stubbornly reject it. Therefore, a correct understanding of Daniel 12 is reserved solely for those who humbly accept advancing truth. Here is the answer to Daniel’s question! In His sermon on the mount, Yahushua asked, “What man is there of you, whom if his son ask bread, will he give him a stone? Or if he ask a fish, will he give him a serpent?” (Matthew 7:9-10, KJV) Daniel had asked a question and, even though he did not understand the answer, an answer was still given. The word “sacrifice” in the above text is a supplied word. The word “daily” comes from tamiyd and means, “continually: regularly … Both ideas – regularity and continuousness – are present in the word.”2 During the long centuries of spiritual darkness when rays of light were few, many Christians assumed that the “continual” here spoken of was referring to the daily sacrifices offered to Yah under the old covenant. The Sabbath, being established at Creation, is to be calculated by the calendar established at Creation: the luni-solar calendar. 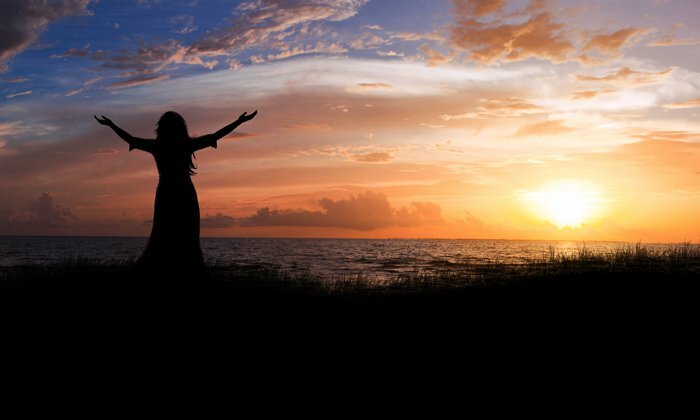 Obedience to the divine commands purifies and sanctifies the soul. Disobedience desolates it. When the continual is taken away, the abomination that desolates the soul is established. This was witnessed when, in the fourth century, Constantine I enforced the use of the pagan calendar, rejecting the Biblical method of time-keeping. The Dark Ages that followed were the direct result of this abomination that truly desolated the soul. This action will be witnessed again in the near future when a universal Sunday law will be enforced upon pain of death. “And he exerciseth all the power of the first beast before him, and causeth the earth and them which dwell therein to worship the first beast, whose deadly wound was healed. “And he … deceiveth them that dwell on the earth by the means of those miracles which he had power to do in the sight of the beast; saying to them that dwell on the earth, that they should make an image to the beast, which had the wound by a sword, and did live. “And he had power to give life unto the image of the beast, that the image of the beast should both speak, and cause that as many as would not worship the image of the beast should be killed. The world is on the verge of catastrophe. These horrendous events will burst upon multitudes as an overwhelming surprise. The very next thing to happen is the sounding of the Trumpets as described in Revelation 8 and 9. It is under the fifth trumpet, also known as the first woe, that the abomination of desolation will be established. When demons in the form of extraterrestrials over run the earth, the pope will be exalted to be earth’s representative. It will only be logical for him to be given leadership of the new, one world religion. In this new position of ultimate power he will, at that time, impose a universal Sunday law. All who choose to honor the Creator by worshipping Him on His holy seventh-day Sabbath, calculated by the luni-solar calendar He established at Creation, are already facing hardship when trying to get time off work. The difficulties they face now, however, are nothing to compare to what lies ahead. When the might of the state is combined with the decree of the church to establish a universal law imposing a false worship day on pain of death, then the continuous without interruption will have effectively been taken away and the abomination that desolates will be established. This law does not even have to enforce Sunday only. True believers who seek accommodation for their worship by the luni-solar calendar will be viewed as agitators and troublers of the people. Conformity to societal norms will be desired by the masses when the existence of all is threatened with alien invasion. Allowance could easily be made for Jews and Saturday-sabbatarians who worship on the seventh day of the pagan/papal Gregorian calendar. But no such allowance will be made for those who stand loyal to the Creator and want to worship Him on His method of time-keeping, the luni-solar calendar of Creation. The abomination of desolation will be established when a false calendar and a false day of worship are imposed by law. This is the event that starts the final countdown. Yahushua told Daniel that there would be 1,290 days following this event. The three and a half years between the Universal Sunday Law and the close of probation will be a time of intense persecution for Yahuwah’s people. But Yahuwah will give them divine strength and wisdom. None will be able to refute their arguments in favor of the lunar Sabbath. The attention of the people will thus be brought to these all-important issues. None will remain ignorant of what is at stake. Yah’s faithful will not be silent in this time of emergency. They will unite with the three angels of Revelation 14, and warn the world of the dire consequences of conforming to the dictates of the man of sin and the presumption of worshipping Yahuwah on a false day of worship. Fearful is the issue to which the world is to be brought. The powers of earth, uniting to war against the commandments of [Yahuwah], will decree that all, “both small and great, rich and poor, free and bond,” shall conform to the customs of the church by the observance of the false sabbath. All who refuse compliance will be visited with civil penalties, and it will finally be declared that they are deserving of death. On the other hand, the law of [Yahuwah] enjoining the Creator’s rest-day demands obedience, and threatens wrath against all who transgress its precepts. Persecution will increase during this time. It is necessary, however, to draw the attention of the world to the issue at hand. As the controversy extends into new fields, and the minds of the people are called to [Yahuwah’s] down-trodden law, Satan is astir. The power attending the message will only madden those who oppose it. The clergy will put forth almost superhuman efforts to shut away the light, lest it should shine upon their flocks. By every means at their command they will endeavor to suppress the discussion of these vital questions. The church appeals to the strong arm of civil power, and in this work, papists and Protestants unite. As the movement for Sunday enforcement becomes more bold and decided, the law will be invoked against commandment-keepers. They will be threatened with fines and imprisonment, and some will be offered positions of influence, and other rewards and advantages, as inducements to renounce their faith. But their steadfast answer is, “Show us from the Word of [Yah] our error,“—the same plea that was made by Luther under similar circumstances. Those who are arraigned before the courts make a strong vindication of the truth, and some who hear them are led to take their stand to keep all the commandments of [Yah]. Thus light will be brought before thousands who otherwise would know nothing of these truths. … As the defenders of truth refuse to honor the Sunday-sabbath, some of them will be thrust into prison, some will be exiled, some will be treated as slaves. To human wisdom, all this now seems impossible; but as the restraining Spirit of [Yah] shall be withdrawn from men, and they shall be under the control of Satan, who hates the divine precepts, there will be strange developments. The heart can be very cruel when [Yahuwah’s] fear and love are removed. As the storm approaches, a large class who have professed faith in the third angel’s message, but have not been sanctified through obedience to the truth, abandon their position, and join the ranks of the opposition. By uniting with the world and partaking of its spirit, they have come to view matters in nearly the same light; and when the test is brought, they are prepared to choose the easy, popular side. Men of talent and pleasing address, who once rejoiced in the truth, employ their powers to deceive and mislead souls. They become the most bitter enemies of their former brethren. When Sabbath-keepers are brought before the courts to answer for their faith, these apostates are the most efficient agents of Satan to misrepresent and accuse them, and by false reports and insinuations to stir up the rulers against them. All of this transpires during the 1,260 days (or three and a half years) foretold in Daniel 12:7. Yahushua told Daniel, “When he shall have accomplished to scatter the power of the holy people, all these things shall be finished,” and it will be. Three and a half years after a universal Sunday law has been decreed, probation will close. And then will come the seven last plagues. The month following the close of probation will be the “great” time of trouble. It is called “great” not because of its length, but because it is during this 30-day time period that the “wrath of Yahuwah … is poured out without mixture into the cup of his indignation” (Revelation 14:10, KJV) on those who persist in defiance and rebellion against the divine law. During this time, Yahuwah’s faithful will be sheltered by divine protection. They have trusted in the Almighty and shall abide safely under His wings. For the wicked, the seven last plagues will be the worst judgments to ever fall on mankind in the history of the earth. In fact, they will be so severe that if they were drawn out longer than 30 days, there would be no life left. The "great" time of trouble when the 7 last plagues are being poured out will last only 30 days or there would be no life left. But Yahuwah does not want all life cut off. He wants some of the wicked to remain to see the reward of the righteous. Precious promise! When the seventh plague falls, it is over. Yahuwah and His people have triumphed! The difference between the 1,290 days and the 1,335 days, is 45 days. It is during this time that those who have honored Yahuwah by staying faithful to Him in the face of imminent death will be honored. The Revelator foretold this blessed event. During the 45-day time period, the wicked that have so vigorously persecuted Yahuwah’s children will come and worship at the feet of the faithful. They will be honored in Heaven but Yahuwah wants them to be honored on earth as well. They have stood faithfully before the whole world, upholding the honor of Yahuwah and the divine law. They have not surrendered their wills to evil men inspired by demons. In the face of death, they have faithfully given earth’s final warning and many who would otherwise have been lost have been saved through their self-sacrificing efforts. It is Yahuwah’s pleasure that they receive a foretaste of the glory that will be theirs in Heaven. 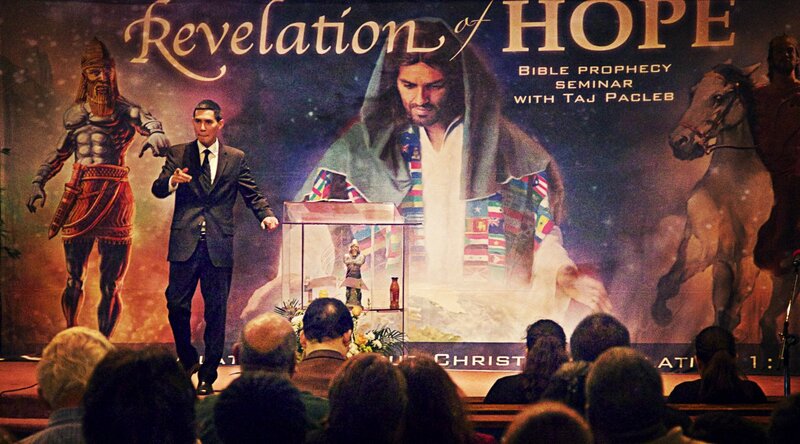 By the time probation closes, Yah's people will know that the Second Coming is only two and a half months away. This will encourage them to stand firm through Jacob's Time of Trouble while the plagues are being poured out and their execution appears imminent. Daniel is now standing in his lot. The prophecies given 2,500 years ago are now being fulfilled. Soon—sooner than you can imagine—the Saviour will return to take His faithful, waiting children home. But before that time, the world must be warned. Daniel 12 must be interpreted as taking place after 1922. The final battle is over worship and only those who remain loyal to the Creator will, in the end, be saved. Thus saith [Yahuwah], Keep ye judgment, and do justice: for my salvation is near to come, and my righteousness to be revealed. Even unto them will I give … an everlasting name, that shall not be cut off. Putting the 1260-day time period solely in the past destroys the warning Yahuwah intends Daniel 12 to be. Those who insist that the timelines of Daniel 12 were fulfilled over 1,260 years during the Dark Ages are clinging to erroneous interpretations. By refusing to advance with the light, they are as deceitful as guard dogs that refuse to sound an alarm when danger is near. It has the effect of pacifying the awakened mind, soothing it back to sleep with the assurance that the Second Coming may be near, but certainly is not imminent. The Day of Yahuwah is here now! We are now living in the Time of Trouble. Very few events yet remain between now and when Yahushua will appear in the clouds of Heaven. Now is the time to seek Yahuwah, learn of Him, and embrace the precious rays of divine truth shining with ever increasing brilliance from the eternal throne. 1 The name “Michael” asks a question: Who is like El? The life of Michael answers the question, revealing the character of Yahuwah Himself. Michael is the name for the pre-incarnate Saviour, Yahushua. 2 The New Strong’s Expanded Dictionary of Bible Words, #8548. 3 Ellen G. White, The Great Controversy, pp. 604-605.